New Beats industry partners include three of Australia’s most significant national cultural institutions. 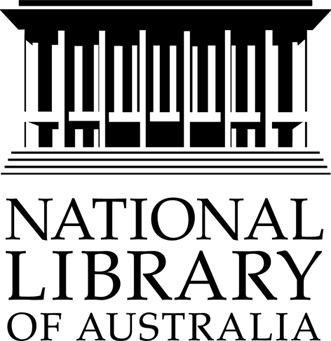 The Australian Broadcasting Corporation (ABC), the National Library of Australia (NLA) and the Media Entertainment & Arts Alliance (MEAA) all have a long-term commitment to high-quality research. Established in 1932, the ABC is the nation’s leading public broadcaster. The ABC has a leading role in digital media innovation and will contribute through the production of radio programming and a multimedia website dedicated to the project. Michelle Rayner is an award-winning Executive Producer of Social History at ABC Radio National and a New Beats Partner Investigator. She is responsible for leading the ABC’s role in the project and is executive producer of the New Beats Radio National programming and related website material. The NLA was set up in 1960 and is the major national repository of Australia’s cultural heritage. It is the country’s most significant custodian of oral history. The on-line audio sound files for each interview will be linked by time codes to a fully searchable text-based index. This will enable the research team – and any subsequent researcher – to make connections within and across the New Beats archive. Kevin Bradley is a renowned exponent of audio history, is Director, Sound Preservation and Curator Oral History and Folklore at the National Library of Australia and a New Beats Partner Investigator. He is responsible for leading the National Library’s role in the project and co-ordinating the collection and curation of the oral history interviews. His achievements in digital archiving and in audio and video preservation will ensure that the project’s interviews will become an enduring resource for the nation. The MEAA was established as The Australian Journalists’ Association in 1910 and is the trade union and professional association for Australia’s creative professionals, including more than 7000 journalists. The MEAA is uniquely placed to monitor the human costs of the digital revolution sweeping the news media. It has negotiated the many redundancies with key media employers, investigated ways journalists can embrace digital technology, and held high-profile conferences to promote new thinking. Michael Dobbie is an experienced author of industry reports on journalism work-related issues and a veteran officer of the Media Entertainment and Arts Alliance and a New Beats Partner Investigator. He is responsible for leading the MEAA’s role in the project, assisting in recruitment of survey participants and the writing and production of materials for distribution to the profession and the public.